I probably wouldn’t have picked this book to read myself–I’m probably unusual for a history teacher in that I’m not super into the Renaissance. It came with my OwlCrate subscription last month, which is actually great, because part of why I signed up for OwlCrate was so I would read books I might not chose to read on my own. Would a Middle Schooler Love It? When I read middle grade and YA, part of me is reading for what my 6th graders would like–and for what would be appropriate for them. I’m finding 6th grade to be a tough grade to find books for, since they have such a wide range of interests, reading abilities, and maturity levels (this is probably true for middle school in general). A lot of YA is just not appropriate, but I don’t want to only have middle grade books, given that some of my students have much higher reading levels (we use AR in my school), and a lot of YA titles generate a lot more interest. Additionally, I’m building my classroom library to be as diverse as possible in every sense; I never want students to feel limited in their reading. OwlCrate is awesome in directing my reading a little more, and helping me not just blindly rely on Scholastic’s middle school categories in buying new books for my students. It ensures that at least once a month, I’m reading a book that my students might love. Da Vinci’s Tiger is exactly the kind of book OwlCrate is perfect for–I wouldn’t think to read it, but a lot of my students would love it. The book was a little slow going for me–it starts at a jousting tournament, which isn’t something I find particularly interesting–but it picks up quickly. 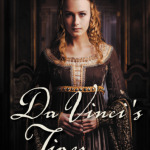 The narrator is 16 year old Ginevra de’Benci, whose prosperous Florentine family is connected to the Medicis. Fresh from her convent education, the poetry-writing, Latin-quoting Ginevra was bargined into marrying a wool merchant, and is frustrated by her place in a society where women are pawns for social advantage. 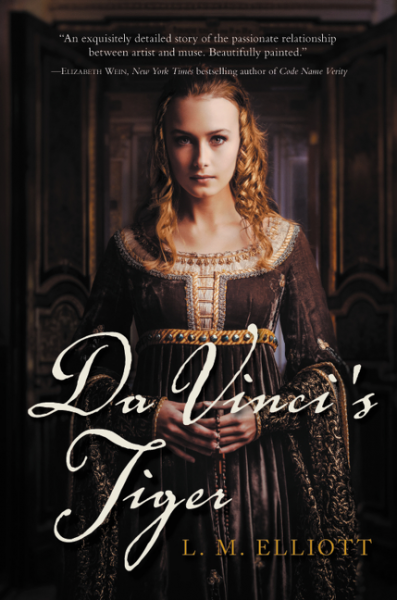 When an ambassador from Venice selects her as his Platonic muse–a woman to love and be inspired by for her virtue–Ginevra finds herself with access to the intellectually stimulating Medici circle. The real heart of the story, however, is her growing friendship with a young Leonardo da Vinci, the ambassador commissions to paint Ginevra’s portrait. Ginevra is a fun character, and seeing her react to Leonardo’s unconventional worldview–especially his feminist ideas about women–is a delight. I really appreciated how the times when Ginevra is most free and has the most autonomy are the times that, on the surface, seem the most passive: modeling for a man to paint her portrait that another man ordered and paid for, and her visits (and later, her stay) at the convent where she was educated. Both Ginevra and Leonardo transform the painting, and the experience of being painted, from one that provides the ambassador with a show of his wealth and influence, to one that displays Ginevra’s boldness, independence, and intelligence. For Ginevra, the convent has always been a place of freedom: set away from the men, gossip, and politics of Florence, Ginevra is free to study and write her poems. In the convent, living only with other women, Ginevra’s life is her own. 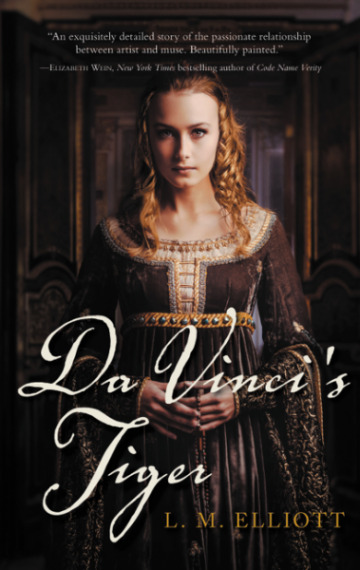 Even though Ginevra does develop romantic feelings for Leonardo–something I knew was coming as soon as I saw the title of the book–those unrequited feelings don’t leave her a tragic figure, and the story is not a romance. Part of why I was a little apprehensive about reading it was because I was worried it would be some overwrought romance between Ginevra and Leonardo, and I was so relieved that the story wasn’t that at all. This is definitely a book I’m going to keep in my classroom and recommend to students. The story is very grounded in historical research and real people and events. L. M. Elliott’s inspiration for the book is the actual portrait of Ginevra that Leonardo painted, which is located in D.C.’s National Gallery of Art. The afterword is an explanation of the book’s historical grounding, and it’s followed by a bibliography–both things that, as an educator, made me really happy to see. This would be a great class novel to read in a 7th grade ELA class, alongside the Renaissance unit. This book could also center a unit on historical fiction–you could spend a lot of time with students discussing and examining where the author filled in the gaps with her imagination, and what she did with the research she had. I also really like how the book gave the thinkers and works of Ancient Greece and Rome such a strong presence–in addition to being historically accurate, that can also help students see the connections between Ancient Greece and Rome, which they studied in 6th grade, and the Renaissance. Sadly, there isn’t an AR quiz for the book, but since a lot of the author’s other books have quizzes, I’m hoping that there will be a quiz for it eventually–the book just came out in 2015, so maybe it’s too soon for a quiz.